Treatment with brentuximab vedotin is associated with superior clinical outcomes compared with standard of care options. Current systemic therapies for CTCL rarely provide reliable and/or durable responses. For the multicenter, open-label ALCANZA study (ClinicalTrials.gov Identifier: NCT01578499), researchers enrolled 128 patients with CD30-expressing mycosis fungoides who received at least 1 prior systemic therapy or primary cutaneous anaplastic large cell lymphoma (pcALCL) who received at least 1 prior systemic therapy or radiotherapy. 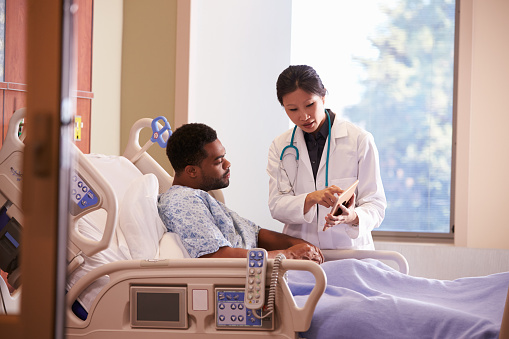 Participants were randomly assigned 1:1 to receive brentuximab vedotin intravenously every 4 weeks or physician’s choice of either methotrexate or bexarotene. Patients were treated until disease progression or unacceptable toxicity. At a median follow-up of 17.5 months, 56.3% of patients who received brentuximab vedotin achieved an objective response lasting 4 months or longer, the primary outcome measure, compared with 12.5% of patients assigned to chemotherapy (P < .0001). Ten patients in the brentuximab vedotin arm and 1 in the chemotherapy achieved complete responses (P = .0046). Brentuximab vedotin reduced the risk of progression or death by 73% vs chemotherapy (hazard ratio, 0.270; 95% CI, 0.169-0.430; P < .0001); median progression-free survival was 16.7 months and 3.5 months, respectively. Brentuximab vedotin therapy was also associated with significantly greater symptom reduction (P < .0001). Safety data for brentuximab vedotin were consistent with the established tolerability profile, in particular with respect to peripheral neuropathy. Nearly a quarter (24%) of patients in the brentuximab vedotin group discontinued treatment due to adverse events, vs 8% of those given chemotherapy; 41% and 47% experienced grade 3 or worse adverse events, respectively. Kim YH, Whittaker S, Horwitz SM, et al. Brentuximab vedotin demonstrates significantly superior clinical outcomes in patients with CD30-expressing cutaneous T cell lymphoma versus physician’s choice (methotrexate or bexarotene): The hase 3 ALCANZA study. Paper presented at: American Society of Hematology (ASH) 58th Annual Meeting and Exposition; December 3-6, 2016; San Diego, CA.